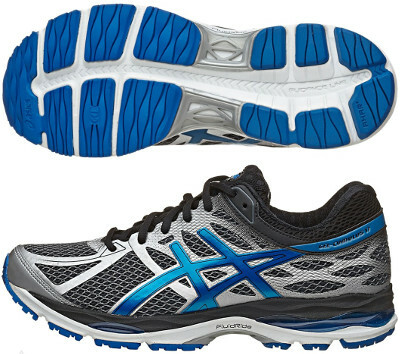 Asics Gel Cumulus 17 are neutral cushioned running shoes. The Asics Gel Cumulus 17 is one of the most popular running shoes ever and simplest evidence is the current 17th iteration. Well known for its great cushioning and versatility, the Gel Cumulus 17 gets even closer to its bigger sibling the Nimbus 17. New seamless upper is the major change from its predecessor the Cumulus 16. The welded overlays are strategically placed to hold the foot securely while flexing where necessary featuring a more comfortable fit. ComforDry™ sockliner not only enhances interior's dealing with odour and moisture but also increases cushioning performance. The Cumulus 17 gets softer cushioning based on FluidRide™ midsole evolution already present in its well known stability relative the Kayano 21 and also increases amount of GEL® in rearfoot and forefoot pads for improved shock absorption.